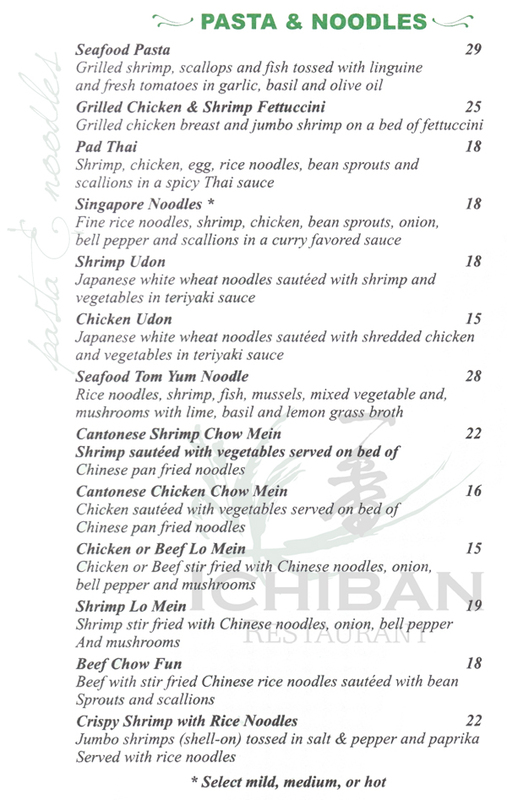 "In Japanese, Ichiban means Number 1 or The Best"
Here at Ichiban Restaurant that's what we strive for, The Best in Service, The Best in Food, and The Best in an Unforgettable Experience. 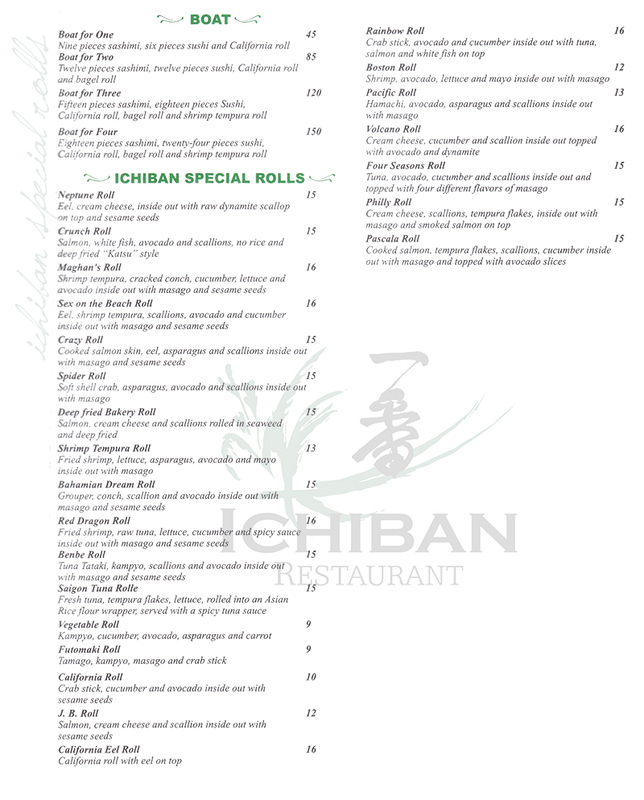 Ichiban Restaurant - Menu Please note: All menu prices exclude VAT. 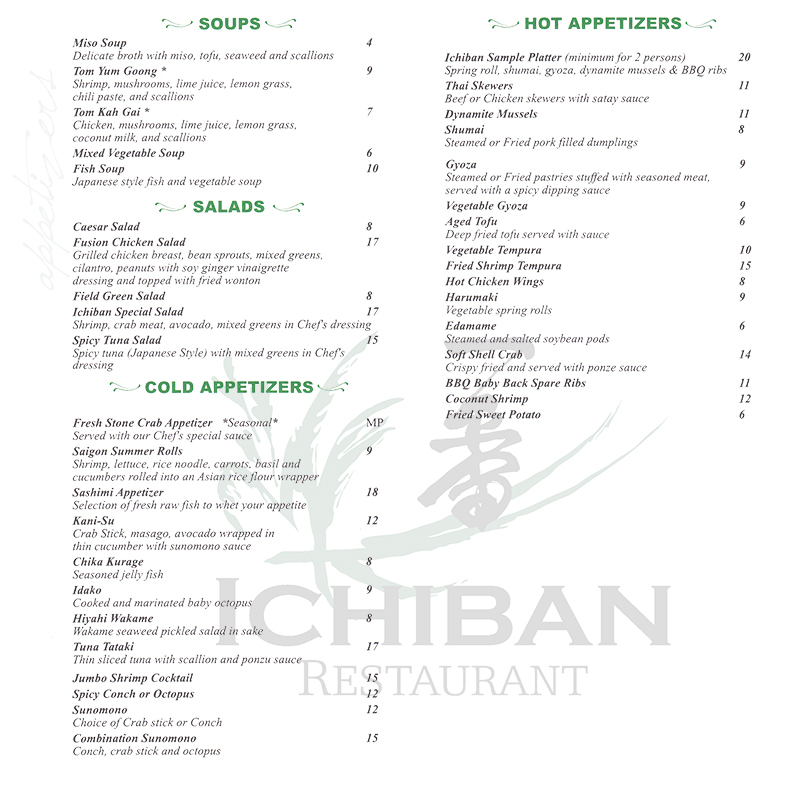 Ichiban is a traditional Japanese Steakhouse, we feature everything from mouth-watering steak, tender chicken, succulent seafood and garden-fresh vegetables to a variety of sushi and other Japanese favorites. Not everyone loves sushi as much as you? Well that's okay because we are also experts in other Asian Specialties as well. You can click on the menu links below to explore what our menus have to offer. From Soups and Salads to Hot and Cold Appetizers, all your starters are here. Chef's Choice Sushi and Sashimi. These rolls are exclusive to the Ichiban Menu, we've found some of the best ingredients and turned them into spectacular sushi rolls. And don't forget our boats for one, two, three or four! You'll find some of your favorites here from all parts of the world, Thailand, China, and Japan. Craving something special? You'll find some classic dishes here that are unforgettable. 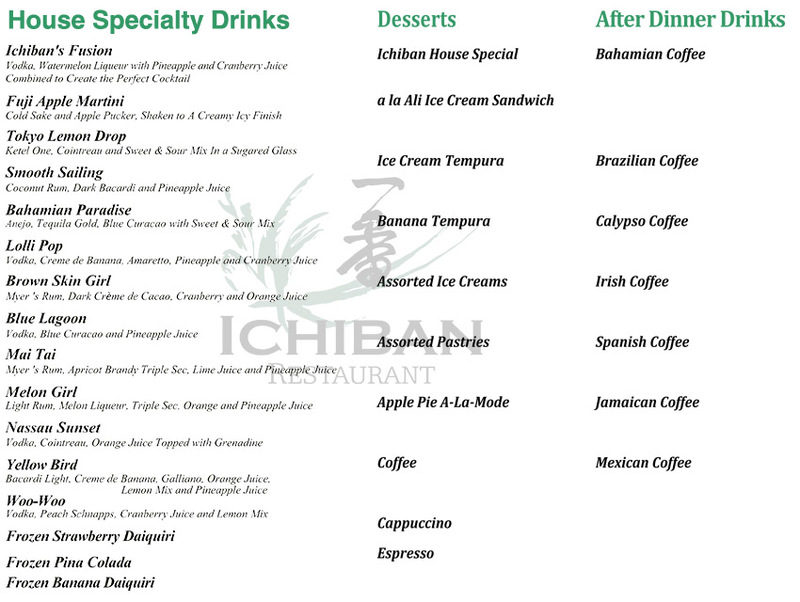 From Ichiban's take on some traditional Bahamian dishes to Surf and Turf. 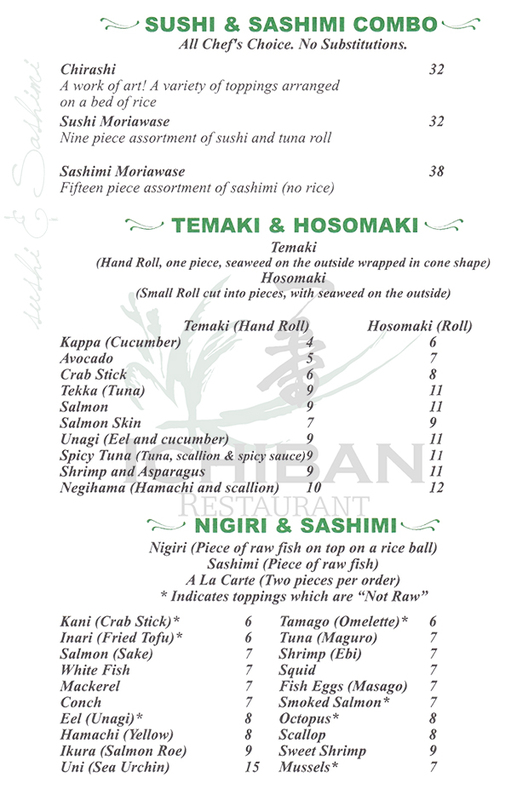 We're open for lunch Mon - Saturday, and we also can prepare your phoned in orders for takeout. We propose some specific whites with our sushi, sashimi, fish and chicken preparations and selected reds for our meat dishes. Don't forget our tropical cocktails!